Hair regeneration is difficult, but it can be achieved with the help of expert trichologists, such as those on the Advanced Hair Studio team. The reason that your hair may be thinning or falling out is due to damage sustained by or a shrinking of the hair follicles – the structures that house and support your hair. By understanding how your hair follicles function and implementing a proper care program, just about anyone can achieve natural, lustrous, thick hair. Follicles are a living part of your skin, and many of the same things that help your skin to stay healthy can also give your follicles a fighting chance to heal from the damage they accrue over time. Aloe Vera Gels: A potent anti-inflammatory and moisturiser. While these natural remedies have been effective for some people, it is unlikely that they will be a cure for everyone suffering hair loss. In the field of hair loss drugs, two stand out: Finasteride and Minoxidil. Finasteride, known around the world as Propecia, reduces the levels of dihydrotestosterone (DHT) in the body. DHT is produced naturally in the body through the breakdown of testosterone, and at a certain age, it will begin to bind to hair follicles. This causes the hair follicles to shrink and close prematurely, preventing healthy hair growth. Propecia can spur hair regeneration by preventing excess DHT in the body from attaching to the follicles, which then allows the follicles to continue to support the long, healthy ‘terminal’ hairs around the scalp and hairline. However, it does require constant use—its affect is not permanent. Even more concerning are the side effects caused by Propecia. Due to these side effects which include lowering your libido, Advanced Hair Studio has never prescribed this drug, and never will. To discuss alternative treatments, contact our experts today. Advanced Hair Studio instead uses the topical and a patented oral Minoxidil treatment exclusive to Advanced Hair Studio. This treatment facilitates vasodilatation which increases blood flow to the scalp. This prolongs the anagen phase of the hair, and after two to three months, hair loss is significantly reduced, with hair in the telogen phase beginning to grow back. Minoxidil has proven to be effective against many types of hair loss, and is particularly effective when combined with our other state-of-the-art treatments, such as Advanced Laser Therapy. In addition, Minoxidil does not carry the serious side effects associated with Propecia. This means that Minoxidil can be used for as long as hair loss persists. Our hair loss doctors will prescribe an oral dose that matches the severity and of your hair loss, and your physical health. This ensures that you receive the perfect treatment, tailored specifically for your needs. Strand-by-Strand® Surgical: We offer a revolutionary surgical hair transplant option that matches each strand to an existing strand. This ensures your hair looks natural from every angle. Strand-by-Strand® Non Surgical: We also offer a non surgical alternative to our Strand-by-Strand® Surgical treatment. This treatment does require maintenance, but you can restore your hair with no surgery, scarring or redness. Female Strand-by-Strand® Non Surgical Hair Replacement: Hair loss and thinning have devastating effects on women. We have developed a Strand-by-Strand® technique specifically for females so that they can take control of their appearance. 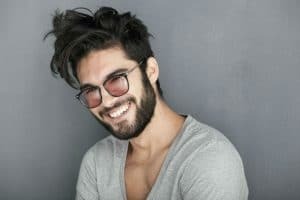 Advanced Singular Hair Grafting®: By combining surgical and non-surgical techniques, we can replace your hairline and attack hair loss where it usually begins. The transplant looks entirely natural, and you do not need to wait for up to six months for your hair to grow (as you do with other techniques). PRP stem cell therapies concentrate the necessary building blocks for healthy regrowth, spurring radical healing of the follicles and hair regrowth.